Candy Land Board Game NOW Just $0.51 At Target! You are here: Home / Great Deals / Candy Land Board Game NOW Just $0.51 At Target! Candy Land Board Game Just $0.51 At Target! Wow! You can get Candy Land board game for just $0.51! 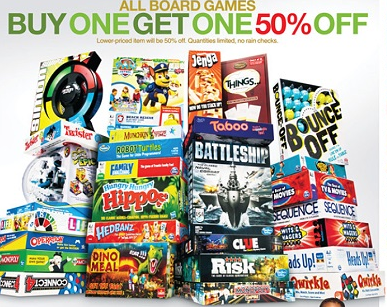 This week Target has select board games on sale Buy 1 Get 1 50% off.